Ever Heard of These High Risk Merchant Accounts? We’re hoping this is the start of something. We can usually gauge the kinds of industry leads we’re going to see at the beginning of each month. We seem to draw plenty of tech support merchants, online travel businesses and web design/SEO companies that need high risk merchant accounts. Four days into August, however, and we’ve been pleasantly surprised. We’ve sold four merchant accounts, three of which are somewhat new to us, and we hope to see more of them. It’s kind of like finding a sand dollar while walking on the beach. It is difficult to find credit card processing for online pharmacies, period. Instabill can find solutions contingent upon solid processing history and financials. We can also offer the next best thing: Your pharmacy website accepting e-check or virtual check solutions for payment. The option of accepting checks is a safety net. It keeps merchants in business in case they lose credit card processing for whatever reason. Merchants can significantly reduce chargeback rates with checks. Checks are safe, especially in the age of the data breach. Finally, same-day ACH is going into effect in September. We think it will grow in popularity immensely. Exactly a year ago, we announced we could process payments for online wine delivery. It’s a difficult industry to do in the U.S. – each state has different laws regarding shipping, proof of age, etc… – but we have solutions. This very week, we set up a virtual terminal merchant account for an online wine delivery startup in Europe who is selling 100 percent MOTO (mail order-telephone order). He can now accept Visa, MasterCard and Maestro for his products. Instabill has long offered solutions for downloadable software, but we’ve added a new industry this month with e-Books merchant accounts. A straight e-commerce business, we found a European banking solution for this startup merchant seeking to accept credit cards online. Instabill lists more than 90 e-commerce, MOTO and POS industries for which we can offer payment solutions. We are not limited to these industries, however, and we are always up for a conversation. Need payment solutions for your startup? 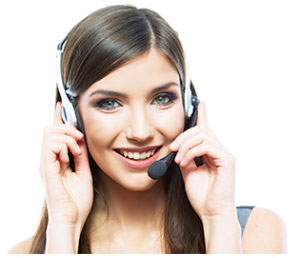 Speak with a live account manager about our solutions for high risk merchant accounts at 1-800-318-2713 or via live chat below.